Ubisoft really knows how to make a great game. And that can be seen VERY easily when playing Far Cry 3, which was just recently released. You can get it the usual ways -- on Steam, CD / DVD, Origin, etc. It's also available on all platforms -- Windows PC, Xbox 360, and of course PlayStation 3 (PS3). Playing as Jason Brody, you destroy everyone, and everything, that crosses your path. 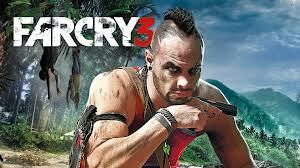 After downloading the game (digital copy) or installing it through a disc, you may encounter or simply notice that Far Cry 3 fails to launch. This can be in the form of a Far Cry 3 Black Screen or simply you launching the game and nothing happens. Alternatively, an error message could pop up too indicating that Far Cry 3 crashed. There are some common ways to solve an annoying problem with the game not opening correctly. Whether you are using Windows 8, Windows 7, Windows Vista, or even the beloved Windows XP, all of these methods work just the same (for the most part). Follow the guide below to troubleshoot your way into finding a solution to get your Far Cry III game running. -- Included with the game is a DirectX install (this is with Steam copies as well). INSTALL IT! This can also fix audio / no sound issues for FC3. -- You may be tired of hearing this, but update your NVIDIA, ATI, Intel, etc -- graphics card drivers to the LATEST version! These new video card drivers supply great hotfixes for games that solve a lot of different bugs and glitches by tweaking how the drivers / card interfaces with the game. They provide a good increase in the rate of frames per second (FPS) as well, so if your game was going to stutter, then it could help that as well as solve problems with crashing and black screen on launch. -- Depending on when you view this guide, make sure you immediately patch your game with the latest available patch. -- Validate / Revalidate your game cache if you are using Steam! -- It is never ideal, but try running under "Administrator Mode"
These are all the fixes available as of right now. Expect more to come soon -- so if you didn't solve your problem yet, come back tomorrow for more game-specific Far Cry 3 game fixes!